So I posted a request for information and suggestions on kerosene heaters over here but a few people thought I would be better off with a propane heater instead. 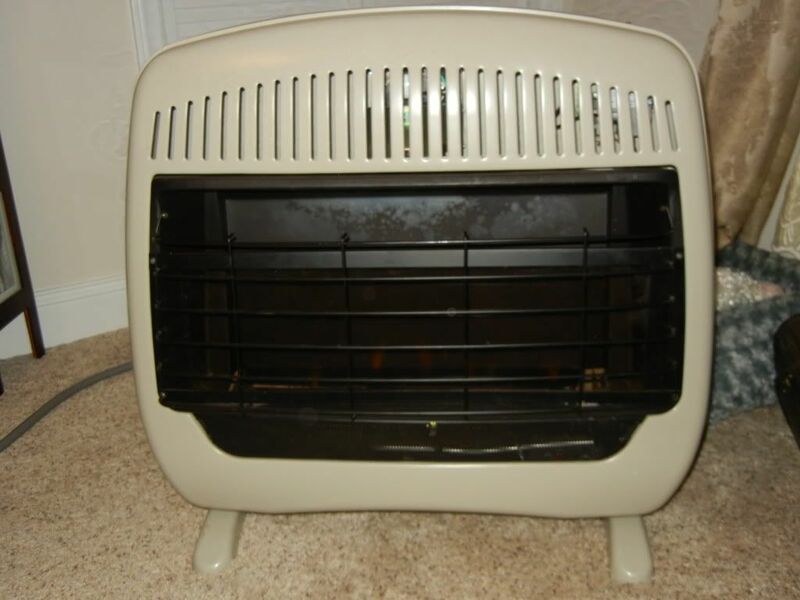 So what are your thoughts on a good indoor propane heater? 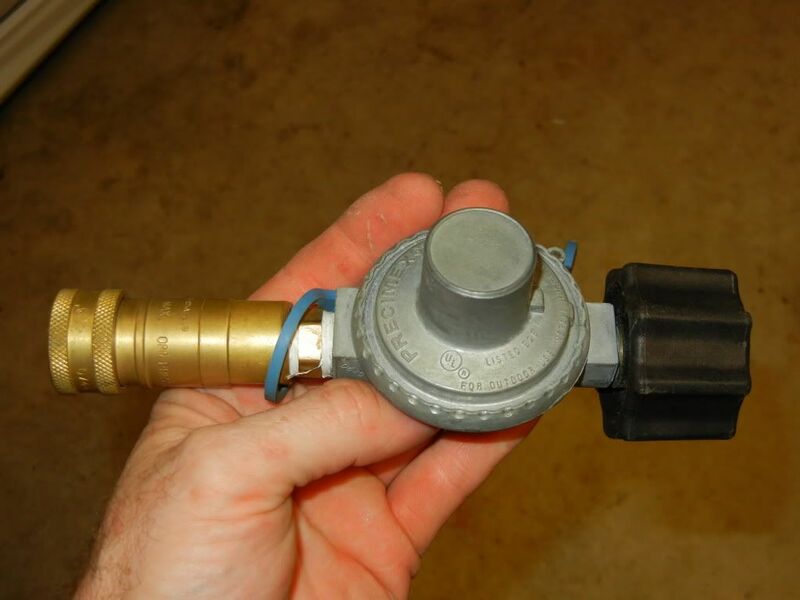 Something that can use a standard tank [from what I've read so far they suggest using a hose and keeping the tank outside] and not have to worry about CO buildup. I really like the idea of the kerosene because I know you can also cook over it so if I could find a propane one that I could cook on as well that would be a bonus too. Also know I can't modify my home in any way as I rent so as much as I would rather have wood, I simply can't. Ok so that's it. Thanks for your thoughts. I used to have a wall mounted propane heater similar to the old natural gas ones in old houses, it worked real well, kinda pricey tho. Another thing I used to do when it wasn't real cold was just turn my double propane cooktop on. They don't use a lot of gas, and you can circulate heat with a small fan. In extreme cold, you have to be careful about opening up your propane tank outside, you can crack the valve gasket and lose a lot of gas that way. I always kept the smaller tanks inside, there isn't much of a danger of anything if you have good hoses and connections. I have ventless blue flame style propane heaters installed in my buildings for emergency purposes. I never thought I would need them but a couple years back a massive icestorm went through and took out power to the region. While they did not have a cooking surface I found that I could cook hotdogs by spearing them on a fork and holding them above the flame. Mine are hooked to a hose and outside to a propane bottle. A 15# bottle would last about 2-3 days. During power outages I use the 1 lb propane tanks. Lots of appliances use these for different applications. People have different opinions about how safe these appliances for indoor use. I refill the 1 lb tanks using an adapter. Ihave 2 propane heaters. A Big buddy heater, and a smaller Colman tent heater. The Big buddy heater is awsome. It can run off of 1lb bottles or with a hose connection a 20lb tank. I use a 20lb tank with mine. With a 20lb tank it can run up 110 hours.It has 3 settings. 4000 btu's,9000 btu's,and 18000 btu's, plus it has a battery fan to blow the heat around. A little pricey, but well worth the money. The smaller Coleman tent heater run off of a 1lb tank at 3000btus.They are both great heaters for indoor use. We've had both a Big Buddy and a Lil Buddy Propane Heater from Mr Heater fo years. They are both rated for indoor use and can work from either the 1# disposable propane tanks or (with the adapter hose) work with a bulk porpane tank, however you do not want the bulk tank inside. When we lost power in January for a week because of a terrible ice storm, those Buddy heaters were all we had. The Big Buddy is rated to heat 1000 sq feet and we kept it in the living areas of the house. We kept the Lil Buddy in he bathroom t keep the pipes from freezing and to help keep the master bedroom warmer. I can tell you from this practical experience that I am highly recommending the Mr Heater Buddy System Heaters. The pellet stove that came with my house when we bought it has thankfully, finally bit the dust. I'm in the process of having it replaced with a wood stove. In the mean time I'm heating with the Big Buddy propane heater that Canuck_Prepper and Medic mentioned in their posts. I'm pretty happy with it. There was another propane heater that used the larger propane tank (5 gallon?) but I wasn't famillier with the brand and didn't like the idea of a larger propane tank in the house. I checked Amazon and they're about $132.57 and I believe you can get free shipping. This is the best propane heater setup I have found. Everything can be bought at Lowes. 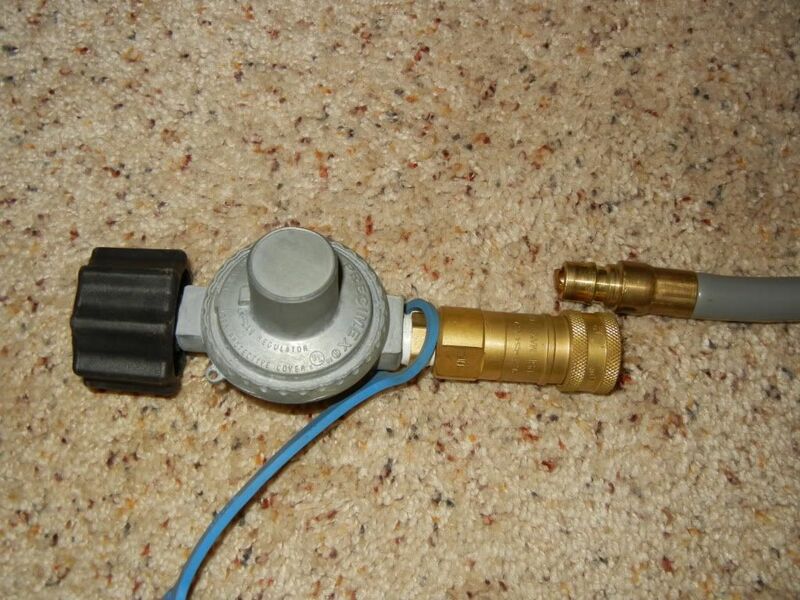 Buy this type heater, and then a propane regulator (one that has to female ends on it) and a natural gas grill hose kit. Plumb it all up and presto 30,000 BTU of heat. This is real good heat, not some knock the chill off heat. Altough some think its dangerous to have a propane bottle in the house, I do it all the time when the powers out or camping and fishing and have never had a problem. A 20lbs bottle will last about a day if used constant, however if you use the thermostat and keep the house at a not to hot temp and bottle will go about 2 days. 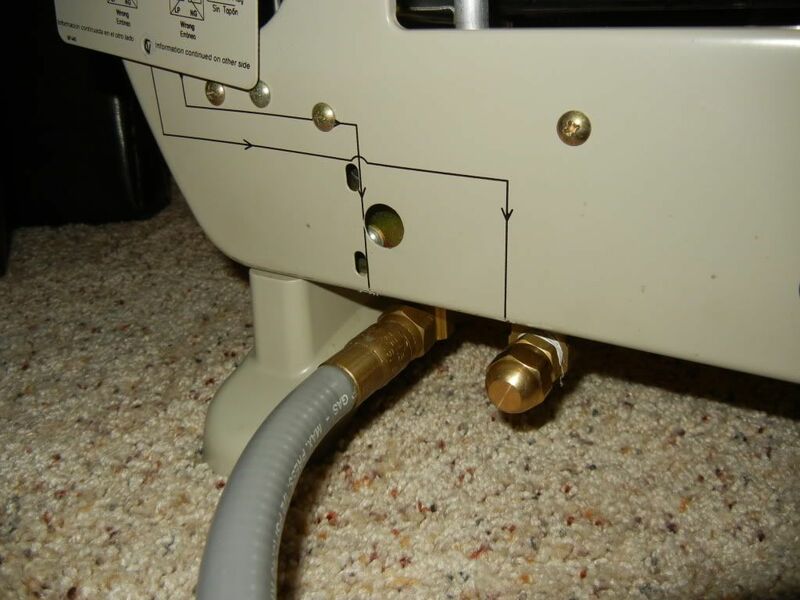 I run mine on natural gas and if the natural gas fails I flip the switch and the gas line port on the back of the heater and its converted to propane. This screws right on the 20lbs propane tank. I have a unit similar to Rockyriver's -- I just was able to mount mine to the wall. I turned mine on to try it out and was feeling heat 25 feet away quickly on #1 setting. Can't imagine #10 setting. I gave heated my house with blueflame ventless heaters for years. I have them hooked up to a 500 gallon tank outside never had any problems. Couple issues with 20 pound tanks inside.For starters its illegal in most if not all places . If you have a fire , and tell the FD its inside, there is a large chance we're not going inside to fight it, which means your house will burn longer with an outside attack. Propane sinks so its easy with a leak for it to find a ignition source, it has a lower flash point so it takes less to make it go boom as well . One 20 lb tank would be easy enough just to throw outside in a fire. I would agree with you that in a large multi-room house it might not be a good idea, but where I kept them were usually one room log cabins in the bush. I've never had any problems with propane in that situation. Propane appliances usually aren't a problem either except for lanterns, they can sometimes be dangerous when the mantle goes bad, I've had flames shooting out of them before. HEADS UP I just came from Lowes and looked at the Mr. Heaters. The 'Big Buddy' has been relabed 'Tough Buddy', Same btu ratings, but I think these new version does not have the 'Quick Disconnect' fitting. I'm in the market for the Big Buddy and need to research some more. I have one of those BlueFlame units. Yea I bet I could roast winies in front of it. I also have one of those 6" cat units that sit on its back to cook on with its three speed heat settings. I like propane but I never go to sleep with an oxygen consumer running. I don't trust the low oxygen sensors and CO sensor would be a wise investment.